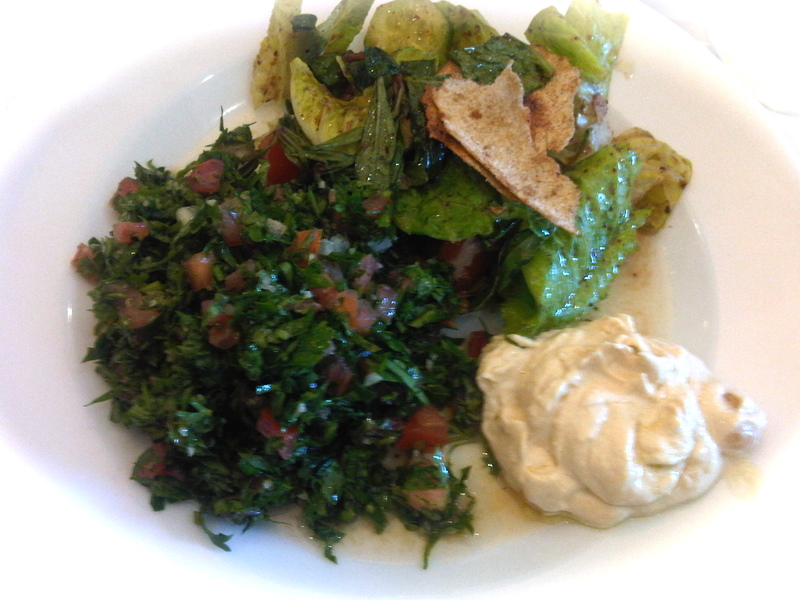 I had lunch at Casino Mhanna restaurant located in Antelias and that serves incredibly delectable Lebanese meals and ranks among my favorite Lebanese cuisine restaurants in Beirut! 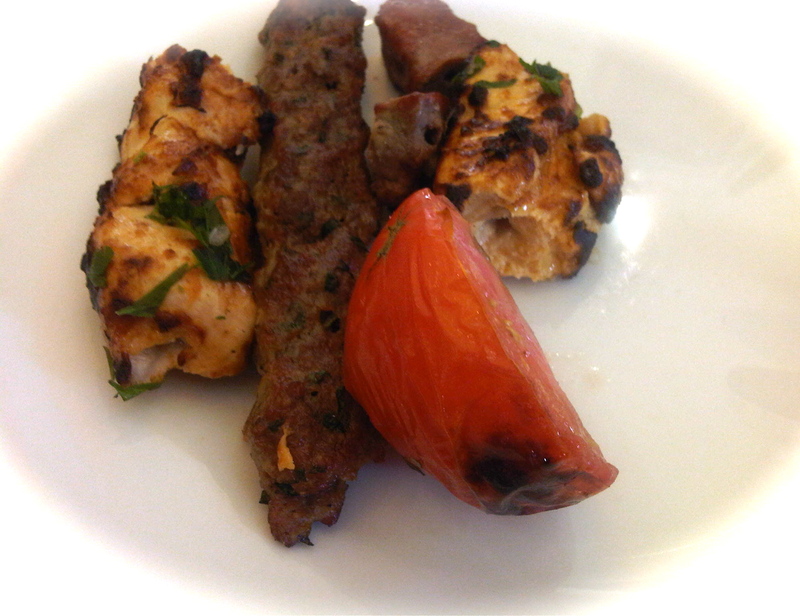 I ate fattouche, tabbouleh, 3 tbsp of hummus, 2 tbsp of chankliche, 1 cheese roll, 1 kafta, 4 pieces of grilled chicken and two pieces of grilled meat! As an afternoon snack i had a big red apple! 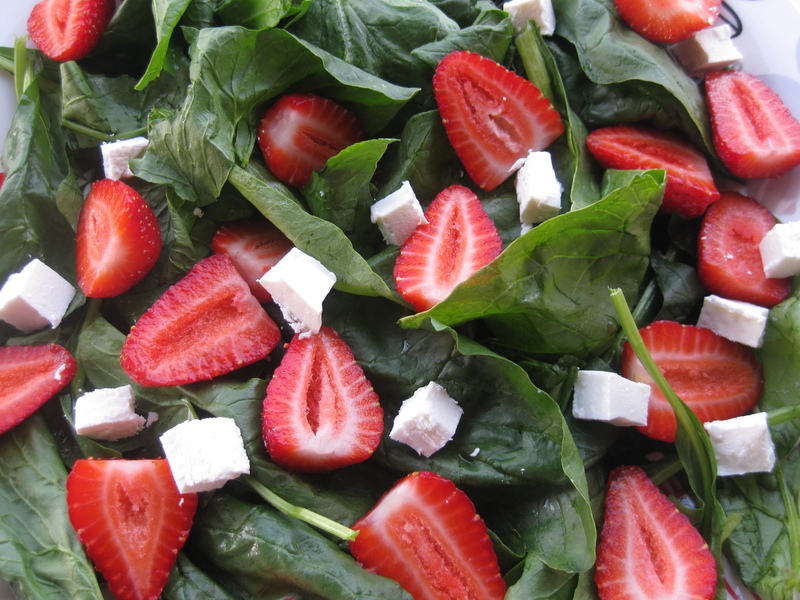 I had for dinner a salad made of spinach leaves with halved strawberries, feta cubes and a light balsamic dressing! ← Jammal sur mer ..